We are constantly looking for committed, responsible and competent professionals, who strive to add value and contribute to maintaining our market leadership position. At Prince’s, our staff is our family and we build a conducive work environment to enhance and nurture our staff’s professional and personal growth. Working together with the sales team and involving in meeting with clients. Select floral and foliage that are necessary for arrangements. Plan arrangements according to client’s requirement or assist customer in selecting design pattern within price guidelines to ensure department profitability. Trim materials and arrange bouquets or other items, care for plants. Pack, wrap, date, and price completed arrangements. Take customer orders directly, over the telephone, and by wire service. Quote correct prices for internet service products. Order, receive and unpack merchandise. Display merchandise and keep displays and shelves full. Care for plants and flowers. Clean and maintain work area, equipment, display cases and shelves. Help other floral department associates assist customers. Complete knowledge of floral department and its products. Running your own business of landscape operation, without the worries of financing, manpower, sales, contract management, and massive paperwork. Perform job tasks of assigned department with reference to set learning outcomes. Undergo mentorship training with Project Managers / Assigned Site Manager of assigned department. Assist in operational needs and department operational schedules. Participate Hands-on operational job tasks alongside co-workers. Assist in managing landscape construction and maintenance operations and all necessary documentation works. Station in the worksite for the efficient supervision and for effective carrying out of the works when necessary. Coordinate with internal departments other project managers at sites, consultants and vendors. Prepare Bill of Quantities, Cost Estimation, Budget, and Material. Take off statements, reconciliation statement, checking bills and estimation of man hour’s requirement. Manage and attend all site meetings. Facilitate on-the-job (OJT) training where permissible to meet training requirements and targets. Work with Training Department to develop and validate OJT training materials. Provide mentorship and training to fellow new Management Trainee employees. Liaise with main contractor, subcontractor, and suppliers when necessary. Proper handover to customer upon project completion. Prepare landscape design and proposal for presentation. Any ad-hoc duties as assigned by Manager. 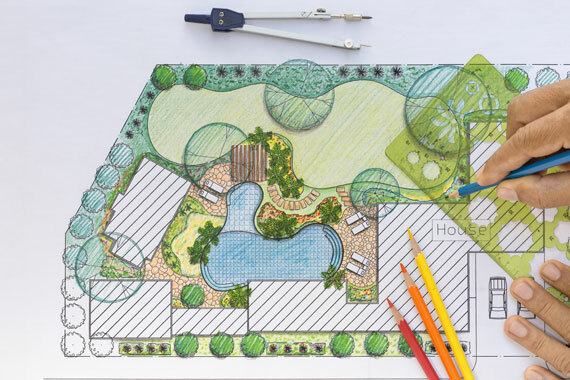 Interprets landscape design specifications, and may offer landscape design as a service. Take off statements reconciliation statement, checking bills and estimation of man hours requirement. Coordinate with internal departments, other project managers at sites, consultants and vendors. Develop a solid and sustainable organization for the business to succeed. Check material list and check drawing list & site organization chart. Liaise with main contractor, subcontractor, supplier and proper handover to customer upon project completion. Approve / endorse final price before sales quote to customers. Take over on the overall management of project, including VO and WO works. Check claims prior to submission to customers. Provide mentorship and training to fellow employees. Good computer literacy & proactive. Facilitate technical guidance & support to the site team. Coordination with internal departments, other project managers at sites, consultants and vendors. Maintaining quality of work & implementing project as per scheduled milestones. Handling of manpower bills, payments, etc on site. With special horticulture skill, project management skill, designing and sales experience. Preparing orders for various types of plants and seeds. We match our Operation Supervisor according to their strengths to specific career directions and work on providing the necessary nurture and support to overcome weaknesses. This will be achieved through the involvement of a variety of projects and work-sites, facilitated through on-site attachments. Earn a Work Learn Technical Diploma after the Traineeship Program.